A quirky one, this from Cavalier. It's their latest venue collaboration, carried out with Melbourne's Belgian Beer Café Eureka. Given it was done in unison with a bar with Belgian beers as a core part of its offering, there's a Belgian yeast at play. 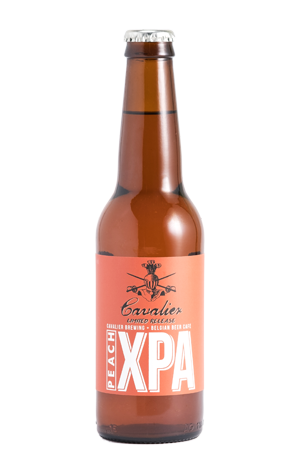 And, given it comes with the tag "XPA" – or extra pale ale – there would have been a fair amount of hops added along the way. Yet if you're thinking you're going to get a hoppy Belgian style golden ale, think again. Why? Because it's the peach that is the key feature here. Perhaps it's the lower carbonation that keeps some of the hop aromas and fruity yeast esters in check; either way, you're met with a waft of distinctly peachy aromas and those characters carry through on the palate too in what's a cleansing, lean and borderline tart and fruity little number.